Planning a trip to Apple Hill℠? Read this first. 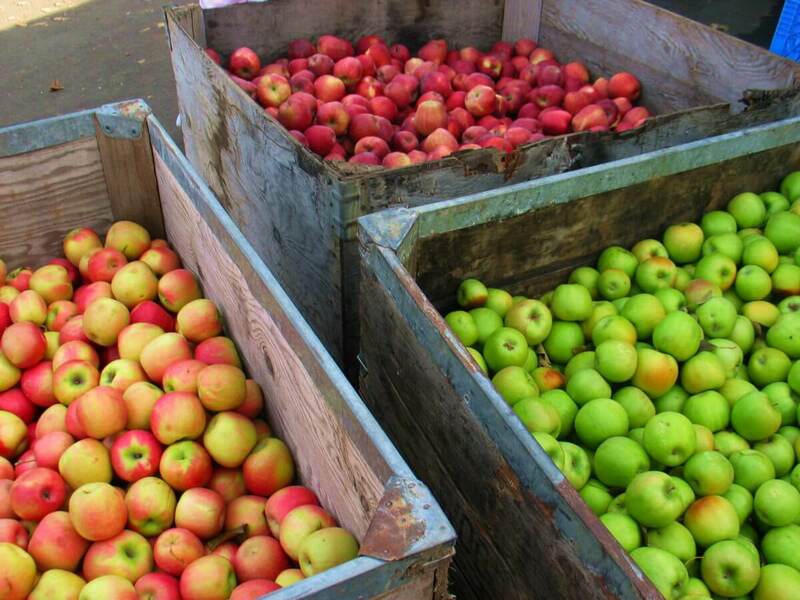 It’s almost time for the Apple Hill℠ ranches to open. Whether you’re a first-timer to the ranches or have been going there for years, you’ll find these tips from Ann Wofford of Wofford Acres Vineyards useful. That may sound obvious, but really, most people don’t think to come prepared. Without a cooler, there is no guarantee your purchases will make it home safe and sound. It breaks my heart to see wine put into a car at 11:30 am when the temperature is climbing into the 80s, and the passengers are hitting three more wineries. They will get home, the hot wine will be pushing through the cork, and I will get an irate call that Wofford Acres sold a leaky bottle of wine. Bring a cooler, and both of us will have better blood pressure. A cooler keeps your apple donuts, apple pies, and other baked goods happy, too! 2. Keep an eye on your dogs and kids. Many ranches and wineries don’t allow you to tie up your dog outside. They ask the dog to keep the human on their end of the leash. Kids and kids at heart are welcome at Apple Hill℠, but please keep an eye on them. The ranches are working environments, and not every place that looks fun is a good place to wander. Safety first! 3. Know the ranch hours of operation. 4. Prepare for craziness if you’re coming on an October weekend. If you’re planning a trip during October, expect traffic and lines. There will be lots of traffic, especially after 10 am. September and November weekends are busy, but not like October, and weekdays are great times to visit if you have a flexible schedule. October weekends are like Woodstock, minus the ready access to drugs (and usually the mud). Do yourself a favor and if you need to come on an October weekend come early. Most ranches open at 8 am, so you can get in a full morning of fun, finish with a picnic at your favorite winery, and be headed home by 1 pm. Trust me; you will thank me for that tip. When I worked for the Apple Hill ℠ Growers Association one of the most often asked questions was “What is there to do?” The absolute beauty of visiting the ranches is that you get to use your imagination and make your own fun. Try all the ciders, hard and sweet, try all the different doughnuts (my personal favorite – Rainbow Orchards), try a new variety of apple. Be creative! 6. Don’t forget that El Dorado County is so much more than Apple Hill℠.